We have made it simple and fun for you to lose weight. Choose from the full Meal Replacement Strategy (FMR) or from the Partial Meal Replacement Strategy (PMR) depending on your lifestyle and personal choice. The FMR plan requires very little or planning, eat 3 meals and 3 snacks a day and you lose weight! The PMR plan is for those who want all the important “Family Meal Time”, may be on higher calorie plans, travel a lot, and who have busy and hectic schedules. -2 meals and 1-2 snacks a day provided. -Choose 7 breakfasts, lunches, and 7-14 snacks a week from our diverse and delicious menu options. -3 meals and 3 snacks a day provided. Choose 7 breakfasts, lunches, dinners and 21 snacks aweek from our diverse and delicious menu options. 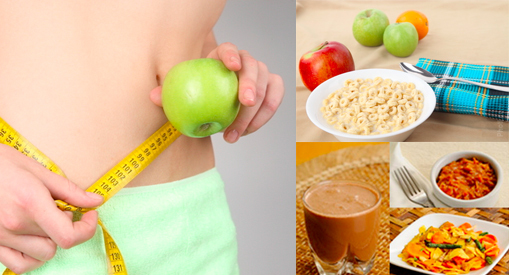 -Average weight loss 2-4 pounds a week. -Simple plan that requires very little thought.